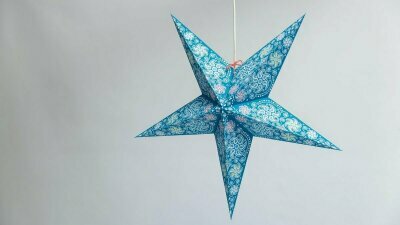 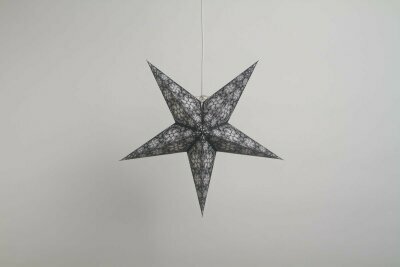 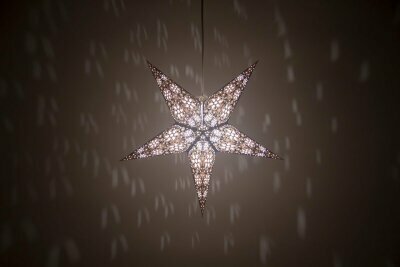 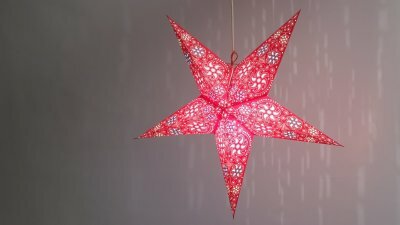 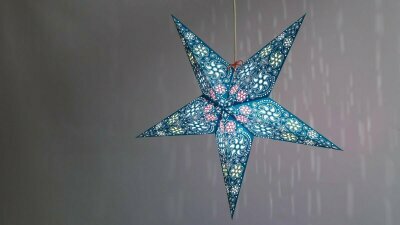 The 'Firework' paper star lantern is firmly rooted in Indian culture and celebration, and is inspired by the 'Diwali' Festival of Light. 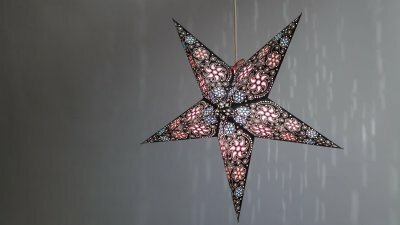 This 5 pointed star lampshade explodes with detail and colour and features 40 beautiful stained-glass effect tissue paper inserts, all applied by hand. 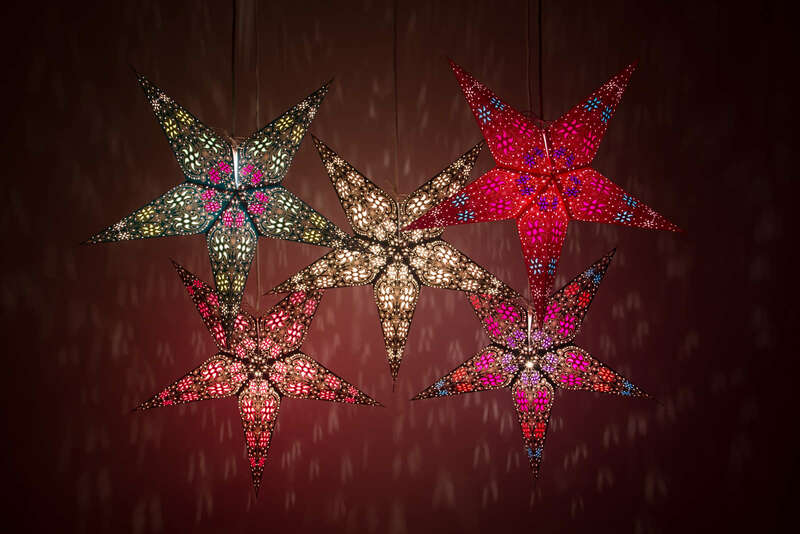 The 'Firework' starlight lantern is available in 3 bold colours - Teal, Scarlet and Black - and looks fantastic, lit or unlit, as a lampshade or party piece. 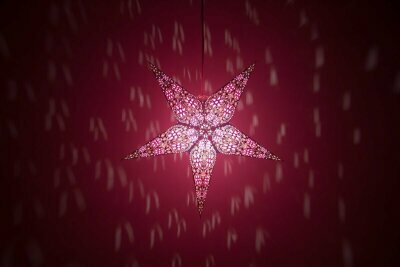 5 Different Colours To Choose From!